What words come to mind when we think of God? Merciful? Just? Compassionate? In fact, the Bible lays out Godâs primary qualities clearly: jealous, petty, unforgiving, bloodthirsty, vindictiveâand worse! 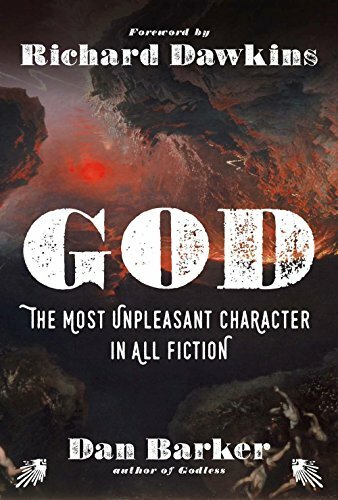 Originally conceived as a joint presentation between influential thinker and bestselling author Richard Dawkins and former evangelical preacher Dan Barker, this unique book provides an investigation into what may be the most unpleasant character in all fiction. Barker combs through both the Old and New Testament (as well as thirteen different editions of the âGood Bookâ), presenting powerful evidence for why the Scripture shouldnât govern our everyday lives. This witty, well-researched book suggests that we should move past the Bible and clear a path to a kinder and more thoughtful world.